A big thanks you to Chris Hazell for this report, the first of several, on the Catalan Dragon matches. There was a good crowd (9000 +) Saturday evening at Gilbert Brutus Stadium, Perpignan for the Catalan Dragons match against Huddersfield Giants. It was a bruising game with some injuries but really exciting. The Giants made a great start when Matt Frawley touched down within 6 minutes of the start giving Huddersfield a 6-0 lead. Fortunately, this situation didn’t last and following last week’s loss at Castleford, the fans came away much happier after beating their opponents 27-10. The first 20 minutes of the Dragons game was scrappy after which influential play by the new recruits had the desired effect. The coach, Steve McNamara must have been pleased at how the Dragons settled down and a brilliant McIIorum kick gave Williame a chance to score the first try for the Dragons & a few minutes later a ball steal by Matt Whitley gave Williame his second try, both converted successfully by Sam Tomkins. The new members of the squad…Tomkins, Whitley & Matty Smith, certainly made an impression. Tomkins had a good game converting 3 out of 4 tries, scoring his first try for the club & making a terrific tackle on MacIntosh which prevented a try for Huddersfield. A penalty kick & 2 tries for the Catalans by Tierney & Tomkins & a not often seen last minute drop goal by Smith made the final score 27 -10 to the Dragons. There were 2 tributes paid during the evening to ex-players. 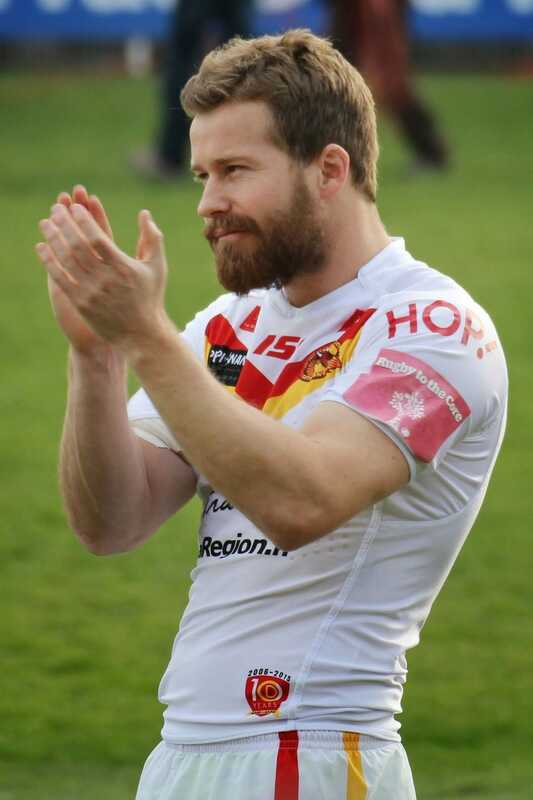 A touching banner showed a tribute from supporters to former Catalan Dragon player, Scott Dureau who is having chemotherapy treatment for a brain tumour back home in Australia. 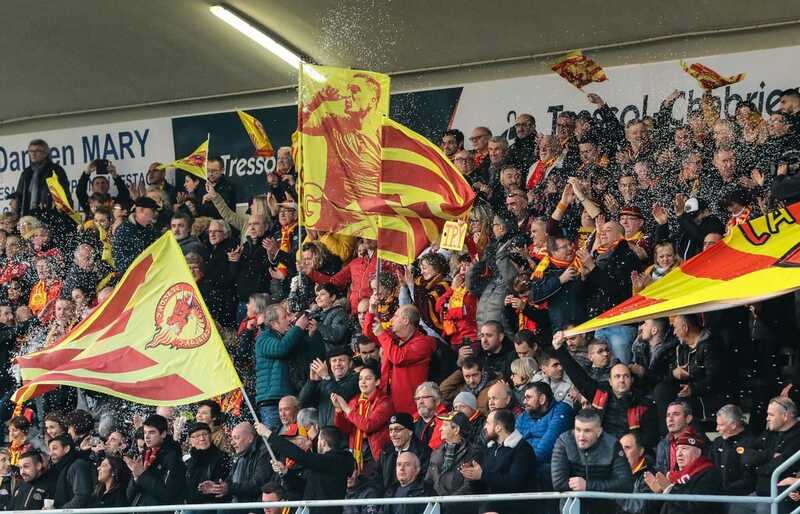 Another tribute was paid to the former Rugby Union player for Perpignan who ran a bar in the town & was killed recently and which confirmed the solidarity of the Rugby community in the region.